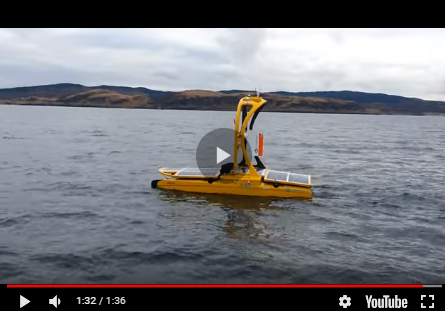 Esri has announced a new way of measuring the ocean: ecological marine units (EMUs). Esri and USGS collected a series of global measurements representing the ocean's physical and chemical properties most likely to drive ecosystem responses. From the millions of measurements taken, 37 physically and chemically distinct volumetric regions, or EMUs, were statistically derived. EMUs differ from existing maps of marine ecoregions since they are globally comprehensive, data-driven and 3D. The primary data source is NOAA's World Ocean Atlas. Built by a public-private partnership led by Esri and the USGS, EMUs provide a standardised, rigorous, and ecologically meaningful set of ocean ecosystem units. Therefore, they may be used as a basemap for things like climate change impact studies, biodiversity priority settings, economic and social valuation studies, or marine spatial planning. Esri has made the EMUs accessible via the EMU Explorer Web app, and in November will make this geospatial information available to Esri's ArcGIS platform users as maps in the Living Atlas of the World and as downloadable datasets for open use.